If you are in search of a rural, scenic area to relocate to, look no further than Lonehill, Johannesburg! Technically a ‘Koppie’ (a small hill in a generally flat land), the town easily distinguishes itself from the surrounding, flat lands. Big, beautiful boulders rest atop this mound, adding an unmatched, picturesque quality to the region. A tight knit neighbourhood, the town consists of 3,000 families, all of which have a strong sense of community and respect for their fellow man. Thusly, the community has an impressively low crime rate as they tend to work together to eradicate any threats to their overall safety and livelihood. Furthermore, you’ll also have community gardeners to tend to any issues in regards to vandalism, litter, as well as the upkeep of public gardens. Simultaneously suburban with big city benefits, the development of this area has grown leaps and bounds in recent years. This thus makes this a great area for businessmen as well as their families. In fact, after a series of meetings and discussions with the community, the LRA (Lonehill Residents Association) has teamed up with the MTN (Mobile Telephone Networks) – the South Africa-based multinational, mobile telecommunications company – to provide FTTH (Fibre to the Home) – a communications signal over optical fibre. This is just another reason why Lonehill is ideal for business executives. This is a new, cutting edge method to provide inexpensive communications via its unique improvements on bandwidth speed. What’s more, there has also been a business boom in recent years, which makes it an ideal location to either launch or relocate your business. Don’t get left behind, visit this forward-thinking town today, and find the perfect luxury apartment for your unique needs and budget. Investing in property is a great idea, whether you are a new property buyer or simply buying another property to add to your portfolio. 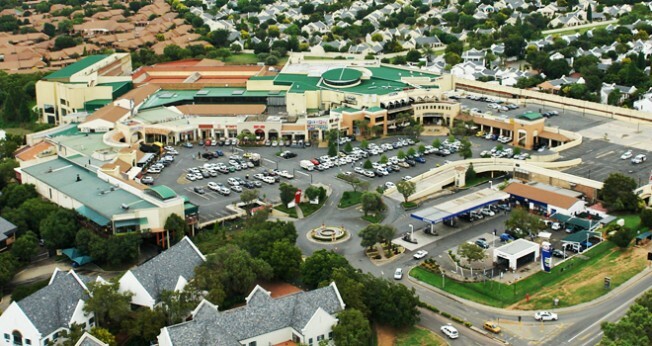 Lonehill is perfectly located close to various business hubs as well as shopping centres and all main routes and airports. It’s ideal for business travellers as you’ll have a luxurious home to stay at, while having easy access to all major routes leading in and out of the city. Greenwich Village offers a range of luxurious apartments in Lonehill. You can benefit from units for sale from as little as R750 000. Contact us today to find out more about this great investment opportunity.